A valuation report is commissioned by the lender to assess the value of a property as part of the loan application process and is paid for by the developer, a lending platform has explained. It claimed that this meant any details a purchaser saw was by courtesy of the lender. However, one specialist finance broker has stated that it expected the lender to release the valuation to its client in every case. Development Finance Today asked the industry whether lenders should have the authority to withhold valuation documentation. Should lenders withhold valuation documentation? “We expect the lender to release the valuation to our client in every case,” said Stephen Burns at Adapt Finance. Robert Collins, director at Sirius Property Finance, said that some lenders were open about valuation reports, while some were more protective. “Sometimes a lender will not release a valuation report because they do not want the client to potentially use the information to go and secure better terms with another lender. “In reality, by the time a client gets to the point of paying for a valuation, they are unlikely to go to another lender and some lenders are more open about their valuation reports. Chris Oatway, owner and director at LDNfinance, said: “Ultimately, as it is the lender that is lending the funds, it is difficult to question their authority in any regard, as it is their prerogative to do as they wish, however, withholding a valuation is not great practice. “It is understandable that the lender may be trying to defend [themselves] against the client seeking funds elsewhere [and] hence ‘wasting’ their time, but they would do better to combat this through positive measures rather than defensively withholding documentation. 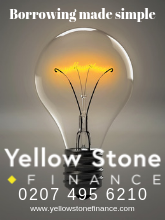 “There are numerous reasons why a client’s position may change, hence meaning that the original lender is no longer suitable. John Kerrigan, director of the structured finance team at Arc & Co, said that lenders tended to hold on to valuation reports for control and to avoid external influence. “Valuation reports are shared to provide complete transparency to the developers. “This also aligns all the parties involved so that they understand the project from the outset. “An example of this on commercial property would be when ensuring that the borrower understands the difference between gross and net yields and that gross yields will include all purchasing costs, stamp duty etc. Joe Arnold, managing director at Arnold & Baldwin, believed that it was important to remember that a valuation report was undertaken by a lender for their protection and so it was up to that lender to choose whether or not to disclose the information. Blane Perrotton, managing director at Naismiths, said: “Lenders are key to the construction process and, understandably, want to ensure they’re dealing with a borrower who will deliver on [their] promises. “A valuation report puts the lender’s mind at ease. “If the developer has grossly exaggerated the value of the finished project or hugely undervalued the projected cost of construction, the valuation will send alarm bells ringing, allowing the lender to make an informed decision. Harry Peradigou, partner at Brightstone Law, added: “The reports are prepared for the benefit of the lenders (albeit paid for by the borrowers) and they are probably correctly treated as the lenders’ documents as they will form a very important part of the decision to lend and, if so, the level of lending. Why would lenders release valuation reports to developers? “…If GDPR issues can be dealt with (whether by waiver from the surveyor or redacting personal details) it is somewhat beneficial to developers, especially, to see the valuation report,” added Harry. “For example, the surveyor may have made an assumption that the borrower can refute”. Roxana Mohammadian-Molina, chief strategy officer at Blend Network, said that it releases the valuation reports to the borrower as soon as it receives it. “For us, it is a matter of building the relationship with the borrower, and this relationship is based upon being fully open and transparent at every stage of the process. Chris Whitney, head of specialist lending at Enness, added: “Ultimately, the borrower will have paid for the report, so in my view [they are] entitled to have a copy anyway. “There might be comments or recommendations that impact on the implementation of the loan that the borrower and [their] solicitor ought to know about. “The next stage is generally a stage 1 QS report, which again there might be implications within the initial valuation report that might impact on the QS’s report, for example, the proximity of the site to a railway line. Paul Riddell, head of marketing and communications at Lendy, added: “If the developer is a client/borrower of the lender, then the lender may choose (with the valuer’s consent) to release the report to the client, but the client cannot rely upon the report.